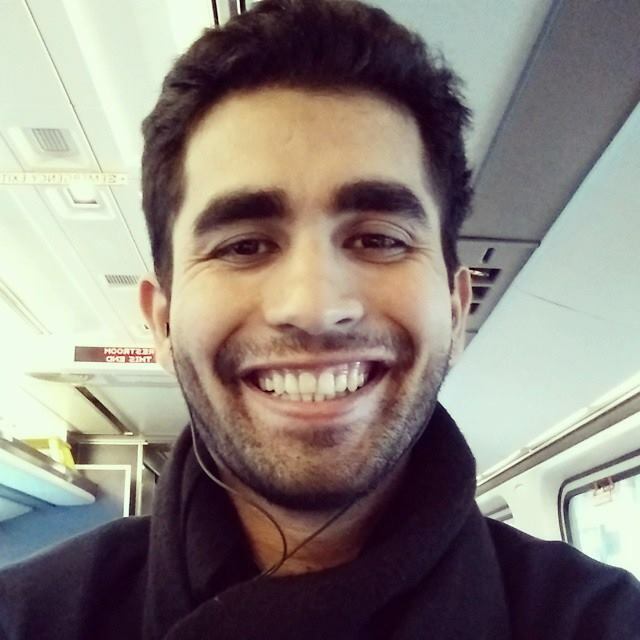 Hi there, I’m Muhammed Ziauddin, founder of DentalSchoolCoach.com. I am a UPenn graduate and I got into UPenn, UCSF, Pittsburg, UMDNJ, and NYU Dental Schools. 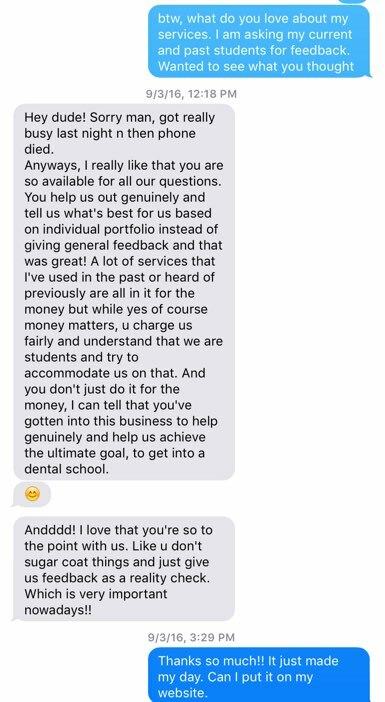 Over the last two years, I mock-interviewed 100+ students and each one of them got into dental schools including Harvard, Penn, UCSF, Stony Brook, ASDOH, Baylor, Midwestern – just to name a few! In the meantime, check out some mock interviews that I have done with students in the past. Take a look at Kunal’s video. When we started the session, she was not smiling and sounded almost robotic. I stopped her right away and gave her feedback. We repeated the exercise the second time, right on the spot. You will see the difference. Once you sign up for my service, you get advice personalized just for you so that you can practice and overcome the barriers that will get you rejected. When I started mock interviewing service, many people said “You just have to be yourself” or ” you have to be a natural to win interviews”. When I was interviewing Jason, his answers weren’t good. He got a bit defensive when I pointed that out to him. However, later on when he watched the recorded mock interview, he immediately realized his mistakes and practiced his interviewing skills. And his hard work paid off. He is attending Baylor and I am really happy for him. My students love texting me. I am available for your question anytime. Just shoot me a text whenever and wherever you are. I respond to every email and text. If needed, I will get on a call with you to answer your questions! !